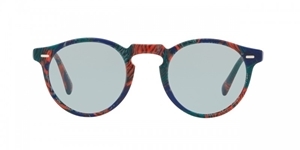 The Oliver Peoples Gregory Peck sun OV5217S is a 1940's inspired unisex acetate sunglass that features a keyhole bride, that gives the sunglass that 'retro' look, and also makes it ideal also for people with non-european features. 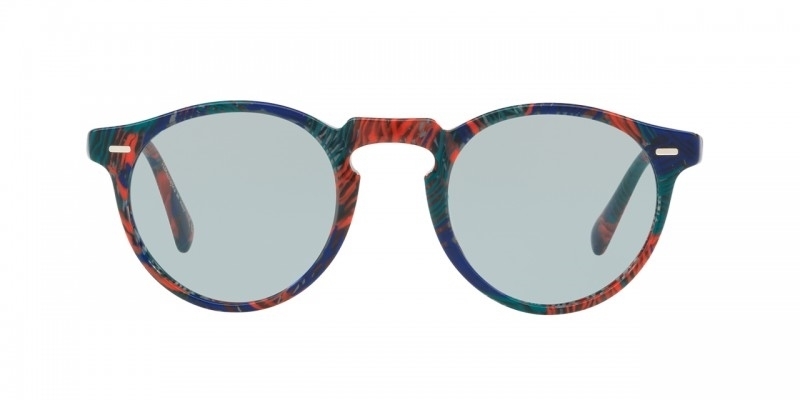 This update to the collection uses custom Alain Mikli acetate with a unique pattern known as 'Palmier' This model features grey blue wash lenses. The Oliver Peoples Gregory Peck sun OV5217S sunglass comes with its own branded case, cloth and packaging, and also covered by the sendoptics 12 month no quibble guarantee.